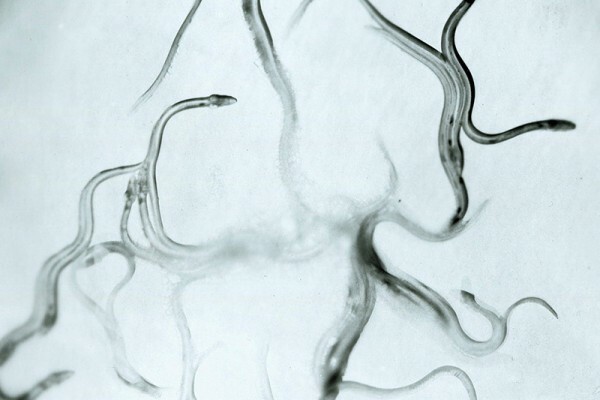 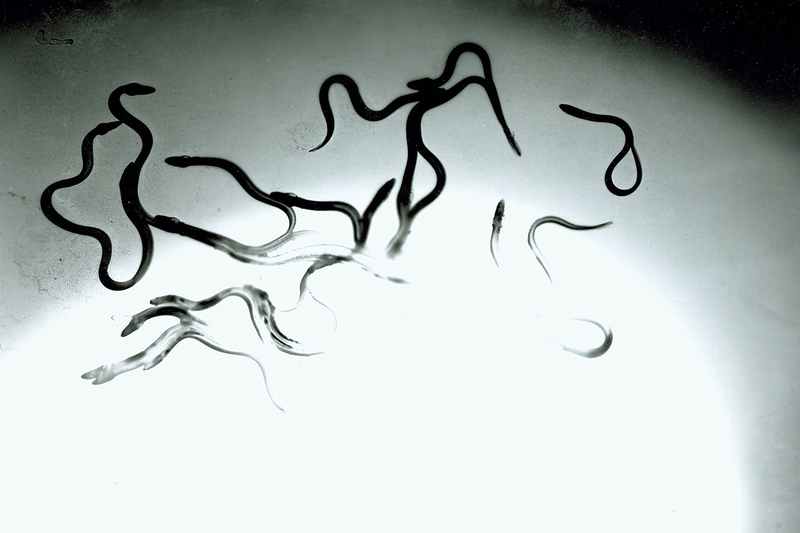 Sargasso Gold’ is a short video work in the series ‘Anguilla Anguilla’ which explores the rhythmic rituals of elver fishing at night on the river Severn near Cheltenham. 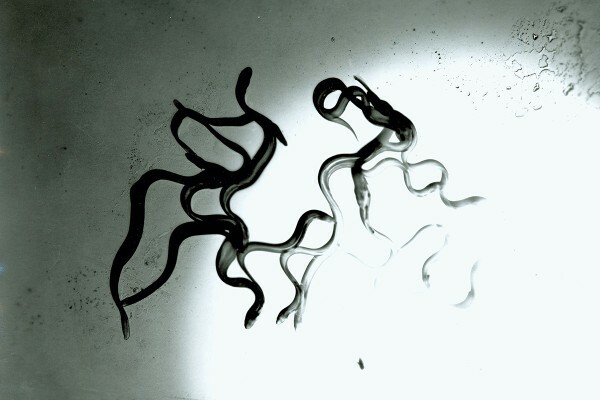 This and another piece ‘Dance of the Worm’ were was originally commissioned by Spacex gallery but the project did not receive adequate funding to be fully completed. 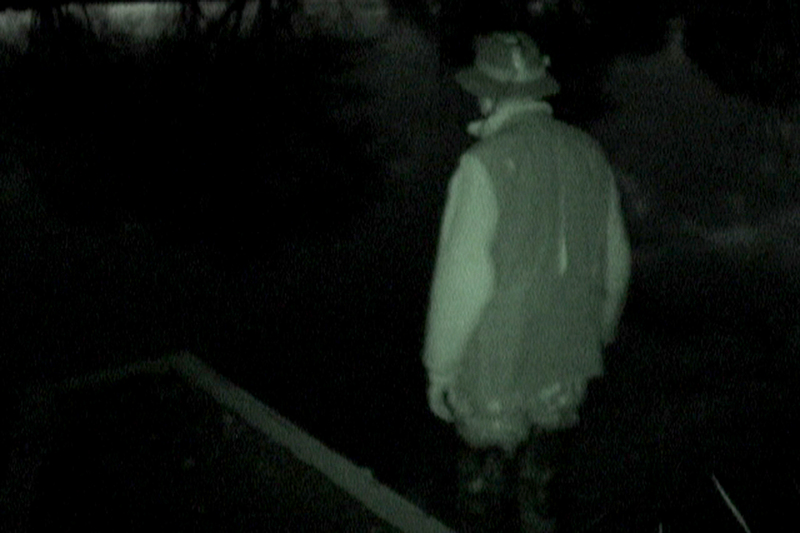 The rough footage of these projects work may be viewed on requests and support to complete them would be warmly welcomed. 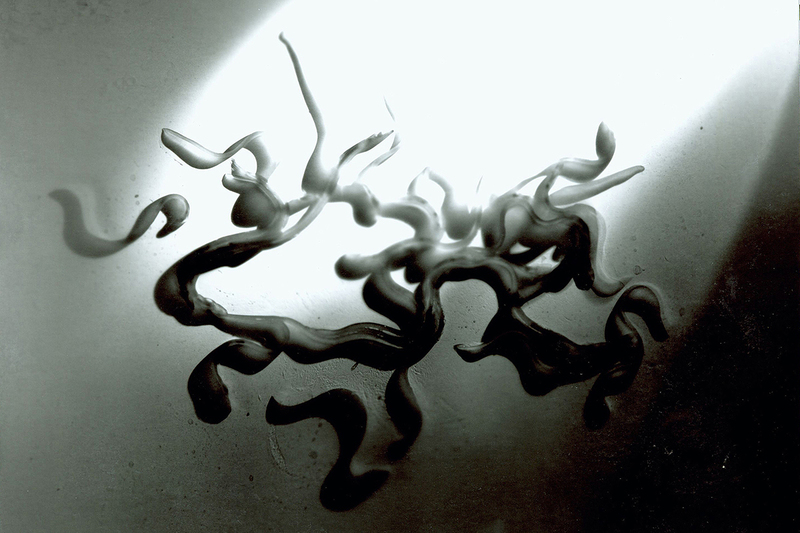 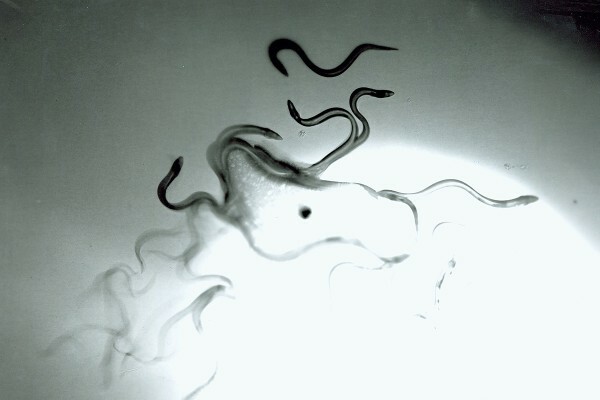 Whilst filming, Murphy also created a series of limited edition luminograms with the live elvers. Originating in the Sargasso Sea, this once common eel species has recently become an endangered by over fishing and changes in their environment, which is why, by weight, they are now more valuable than gold. 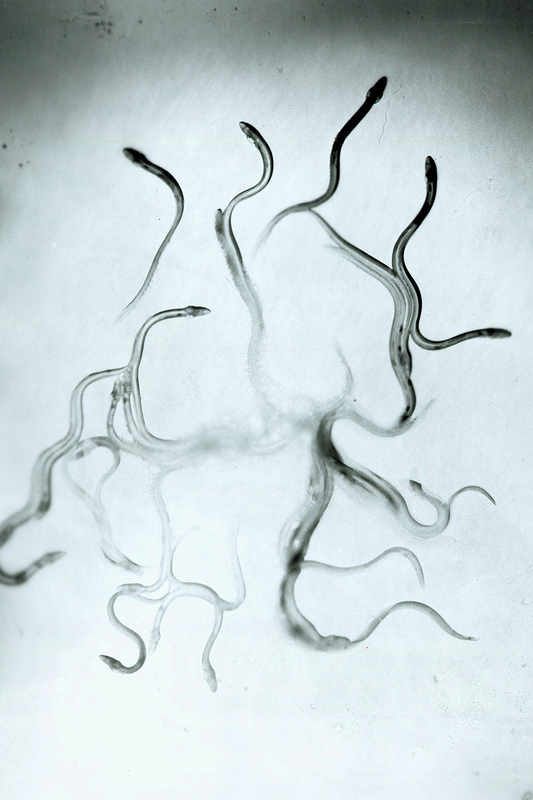 This small series of limited edition silver gelatine, fibre based prints are gold toned to reflect this value and the preciousness of this dwindling species and fishing practice.